Over the weekend, Lady Gaga was given a painful reminder that even the cutest-looking creatures can come with a bite. According to reports, the eccentric pop singer was bitten by a slow loris while on set filming her latest music video that features several exotic animals. A source told the New York Post that Lady Gaga wasn't injured, saying "she just laughed about it." "The slow loris is the cutest creature on the planet, and Lady Gaga wanted to use it in one scene, but it nipped her. They put it back in its box and took it away in disgrace." Slow lorises, a small primate native to the jungles of Southeast Asia, were not widely known prior to 2009, when a video of the animal being tickled went viral on YouTube receiving tens of millions of views. Researchers found that the video's popularity came at the detriment of the species, already listed as a "vulnerable" in large part due to the trade in exotic pets. A study found that one in ten commenters on the video indicated a desire to own a slow loris as a pet -- far more than those expressing concern for them in the wild. "I've been studying slow lorises for a long time and the video completely changed everything," said primatologist Anna Nekaris. "Nobody knew what a loris was before the YouTube video, but now everybody knows them. I thought this was the end for the slow loris because it was already dealing with a devastating local pet trade." 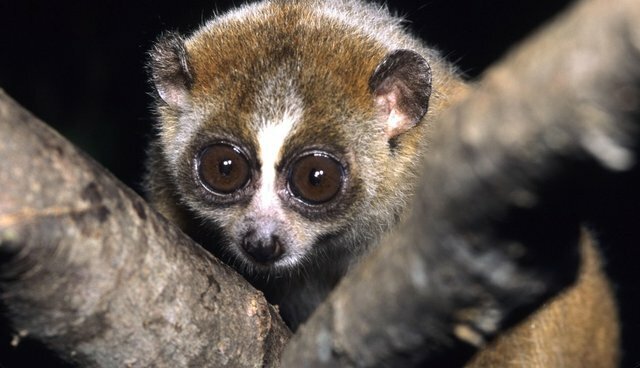 Today, slow lorises' cuteness still largely overshadows discussions of the its imperilled conservation status, which most certainly would have been perpetuated by Lady Gaga -- had the animal not bitten her first.